Songs of Eretz Poetry Review is pleased to present "Dandelion Stars" by John C. Mannone. Mr. Mannone has been nominated three times for the Pushcart and has work in: The Baltimore Review, Prime Mincer, Pirene’s Fountain, Linden Avenue Literary Journal, Ayris, Prairie Wolf Press Review, Tipton Poetry Journal, Pedestal, Rose Red Review, Rose & Thorn, Glass, and others. He was the 2013 Rhysling Chair, is the poetry editor for Silver Blade and Abyss & Apex, an adjunct professor of physics, and a NASA/JPL Solar System Ambassador for the great state of Tennessee. Visit The Art of Poetry at http://jcmannone.wordpress.com. Poet’s Notes: The dandelion has always been a fascination for me. But despite its bright gold, sun-like flower, many view it as an unwanted plant, a weed. After that sweet smelling flower had turned to seed, I marveled at the spherical symmetry and the intricate interlacing of its nearly transparent architecture. And what kid hasn’t delighted in blowing those dandelion tufts into the wind? Dandelions go back to my childhood and fond memories; my sister and I would pick the young tender leaves, which our mother would braise in olive oil, garlic and tomato sauce. I am sure it’s a Sicilian tradition (or a variation of one). For me, the bitterness of those leaves was delightful. With so many of my memories locked in with the dandelion, it was inevitable that dandelions would show up in my poetry. “Dandelion Stars” began as a haiku-like poem several years ago: “Dandelion stars/Whispers soft as light/Gossamer threads.” Ironically, this is no longer part of the linked haiku, because the other parts provide a similar image, but the poem’s important title comes from that triplet. Some of the other verses in the linked haiku come from other astronomy-related haiku inspired/prompted by a prose poem written by a friend. After many revisions, the fusion of those haiku, as well a recent extension in verse, the current form published here was crafted. Editor’s Note: One of the most pleasurable aspects (for me at least) often found in the haiku form is the juxtaposition of two disparate elements--here flowers and stars. The metaphors in “Dandelion Stars” are hauntingly lovely, allowing the reader to imagine flowers and stars in beautiful new ways. 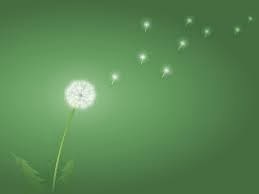 "Dandelion Stars" first appeared in Songs of Eretz Poetry E-zine in August 2013.